Noblesville is a close-knit town in Hamilton County that brings people together in community. In fact, Chris Owens, Executive Director of Noblesville Main Street, says that the goal of Noblesville is to be a “hipstoric™” town that focuses on “people, places, and events” in building community. There is a rich history in Noblesville, as seen through the ornate government buildings, classic main square with shops and offices and more – and Owens’ vision is to meld historic Noblesville with hip and modern Noblesville through a series of events and activations. Projects that further Noblesville Main Street’s goal of bringing the community together include: an alley activation and beautification project, the two-decades old tradition of the Noblesville farmer’s market and the much sought after Meals from the Market dinner. Alleys are typically thought of as dark and dank, and used for unloading goods for businesses and housing dumpsters. 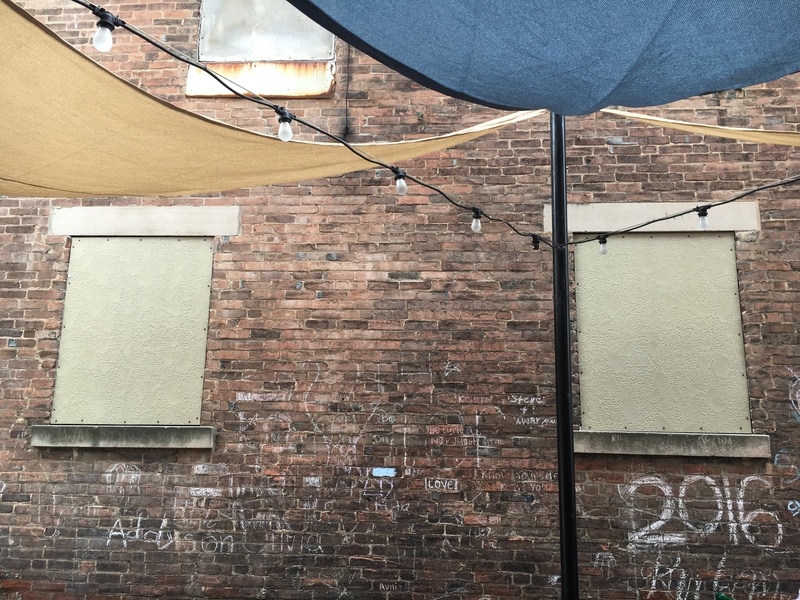 However, Noblesville Main Street envisions activating and beautifying alleyways to become places that can have function and a fun place to hang out. With the alley activation plan, Owens and Rachel Johnson, local landscape architect and urban designer at Loci Creative, alleys will become places of beauty and community. 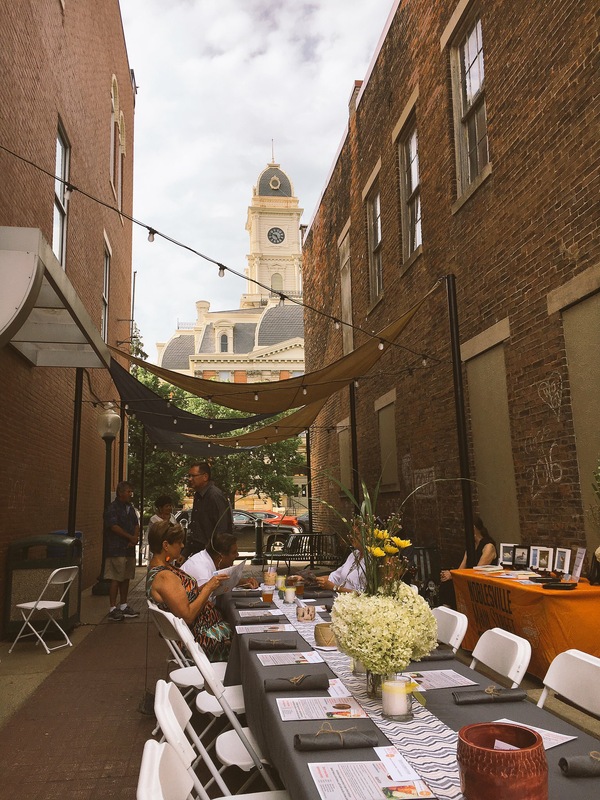 Envision miniature parks, creatively designed sitting spaces and more and you will have an idea of the potential for Noblesville’s alleyways. This project shows just how Noblesville longs to show it Hipstoric™ qualities to everyone and create creative spaces that the locals crave. One alley in particular near the main downtown square in Noblesville already has been activated and put to good use. With a million-dollar view of the square and twinkle lights cascading from wall to wall, it is no wonder that Noblesville Main Street hosts its newest event “Meals from the Market” there. “Meals from the Market’s” inaugural term this summer and early fall proved to be highly successful as the events sold out days after sales were opened. Noblesville also has brought the community together through the farmer’s market that has run weekly for over 20 years. Even the farmer’s market has become hipstoric™ by offering online ordering services and special programs like SNAP and W.I.C. for those in need of fresh produce for their families. Noblesville is a town that is constantly growing and finding new ways to be relevant while still holding on to the traditions that made them great. Visiting this town will give anyone the opportunity to see innovation at work and be a part of a growing, bonding community. For more information on Noblesville Main Street and other projects that are underway in Noblesville, check out this website.